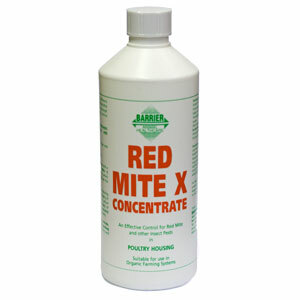 A completely natural concentrate, formulated to provide lasting protection against troublesome red mites in poultry houses and runs. The concentrate should be diluted with water and applied directly onto your birds, offering a barrier against red mite infestations and helping to eradicate existing problems. There are currently no questions for Barrier Red Mite Concentrate - be the first to ask one!